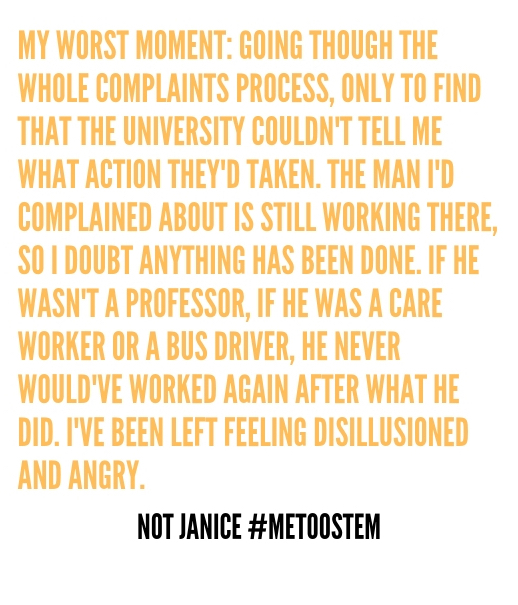 Janice was left disillusioned and angry after filing a complaint about a professor with her university and never being told the outcome. My Worst Moment: Going though the whole complaints process, only to find that the university couldn’t tell me what action they’d taken. The man I’d complained about is still working there, so I doubt anything has been done. If he wasn’t a professor, if he was a care worker or a bus driver, he never would’ve worked again after what he did. I’ve been left feeling disillusioned and angry. I Have Given Up On: Having a career in academia. I’m Afraid: His behavior will be allowed to continue. Perhaps the next woman won’t be as resilient as I am. This Has Cost Me: I’ve no idea what the financial cost has been. It’s changed my dreams. Something You Should Know: I’m not a wimp. Is There a Bright Side: I can see that the Emperor’s got no clothes on and laugh at him. Middle class people put academics up on a pedestal, but they’re no different to navvies. 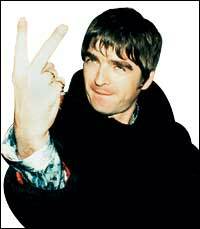 I never had much respect for authority, but that’s gone. I’m off to be my own boss.